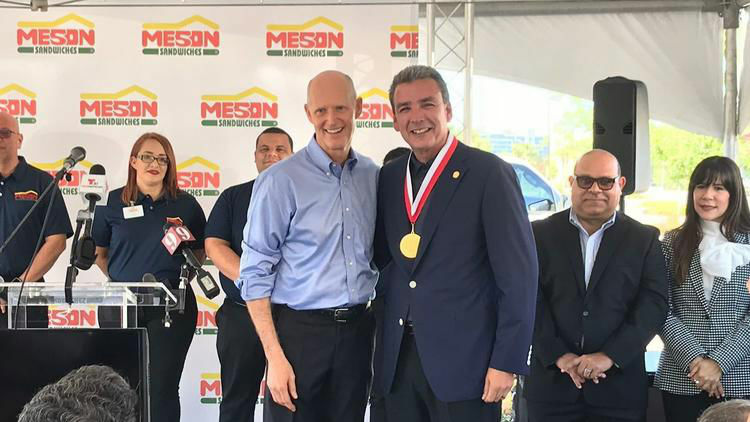 Meson Sandwiches — the pride of Puerto Rico for over 40 years — has finally arrived in America. Just one bite and you’ll understand why Travel + Leisure magazine ranked Meson Sandwiches one of the best restaurant chains in the world. Why? 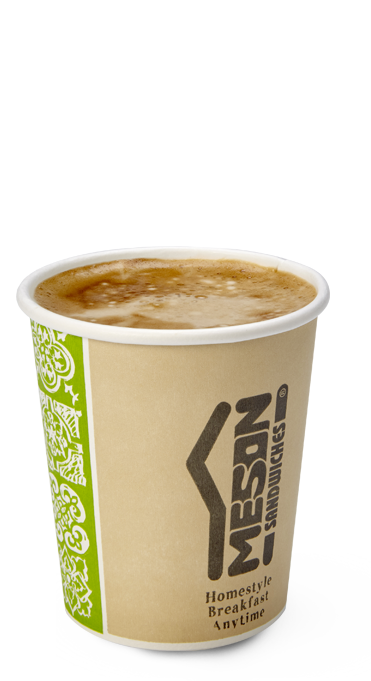 Because at Meson Sandwiches we put our heart and soul — to say nothing of the world’s freshest and finest ingredients — into everything we serve, from our handmade sandwiches to our fabulous all-day breakfasts, home baked pastries and fresh-from-the-island coffee. Yes, the sandwich has landed — right in your back yard! How did our coffee become legendary, even on an island known for coffee? 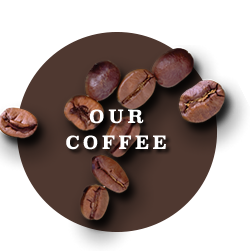 Because we use only the finest hand-selected 100% Arabica beans which we medium roast in the traditional style. The result is a rich hazelnut-colored coffee with pronounced chocolate and floral notes that must be tried to be believed. 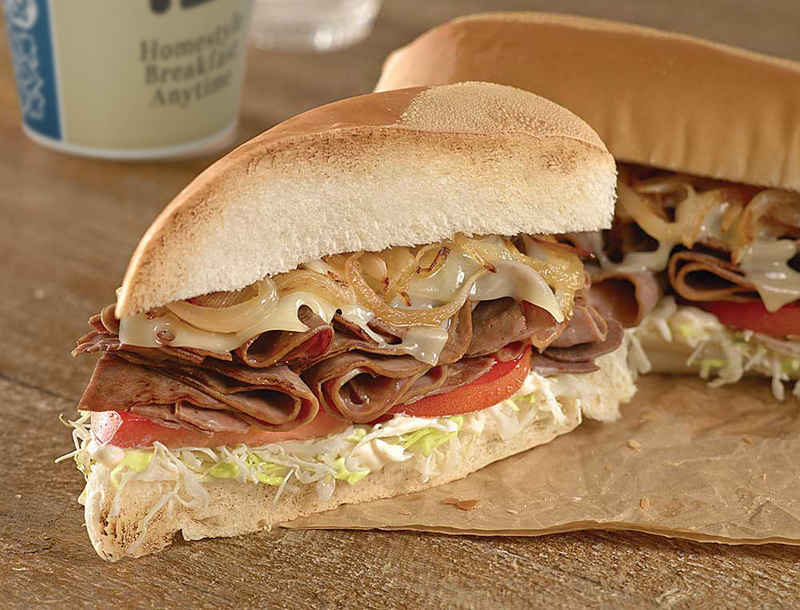 On those days when no ordinary sandwich will do, it's time for the Meson Special. 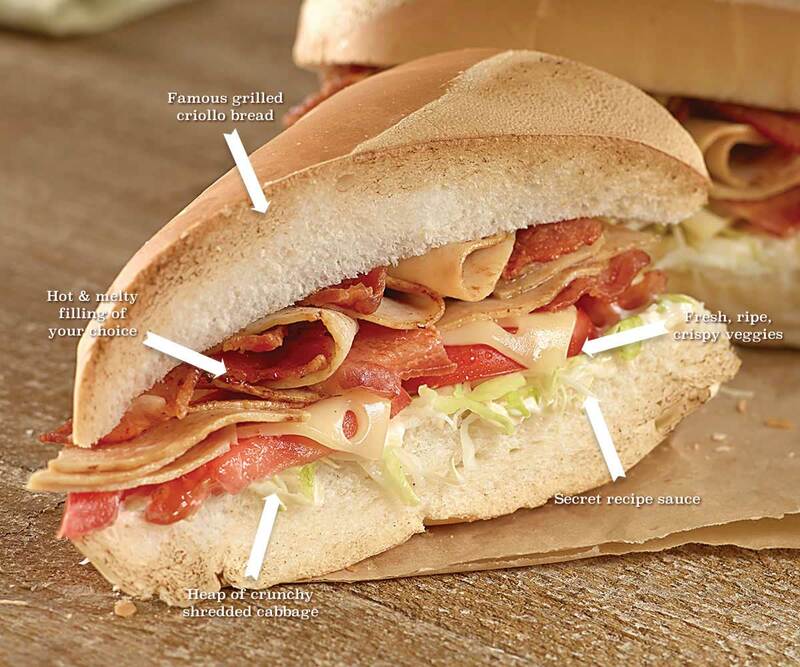 The luxury model of the El Meson sandwich line, the Meson Special is an indulgent combination of your favorite meat plus savory-sweet grilled onions and hot, melty Swiss cheese. Go on, live a little. The name says it all: this is a sandwich for professionals only! A heaping pile of Virginia ham and peppery pastrami, sweet sautéed onions and rich, melted Swiss cheese, all served hot off the grill on your choice of bread. 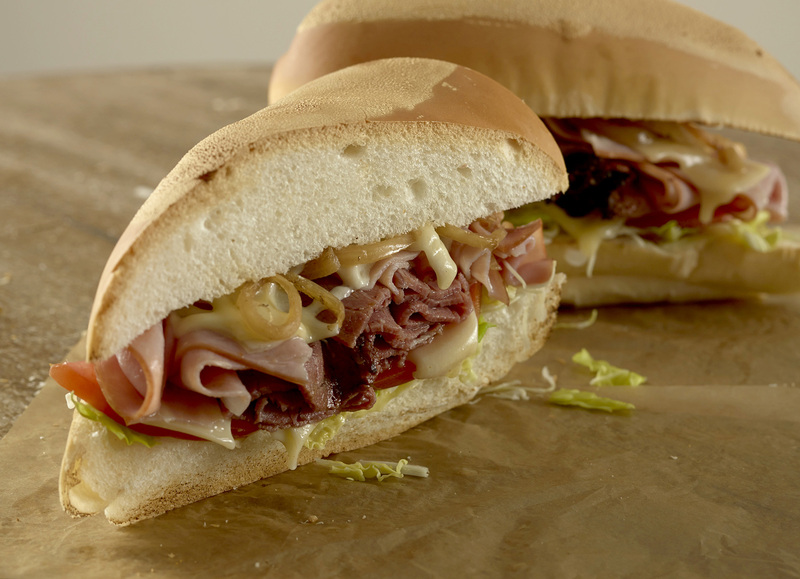 If you're a true sandwich lover, it's time to step up and go Pro! 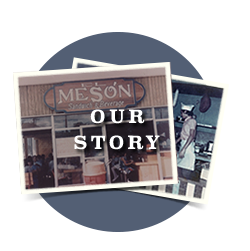 The Reuben sandwich may have been invented in Omaha, but it was reinvented at El Meson! Our version starts with a heap of corned beef which we top with grilled onions and melted Swiss cheese — then serve double decker on multigrain bread. 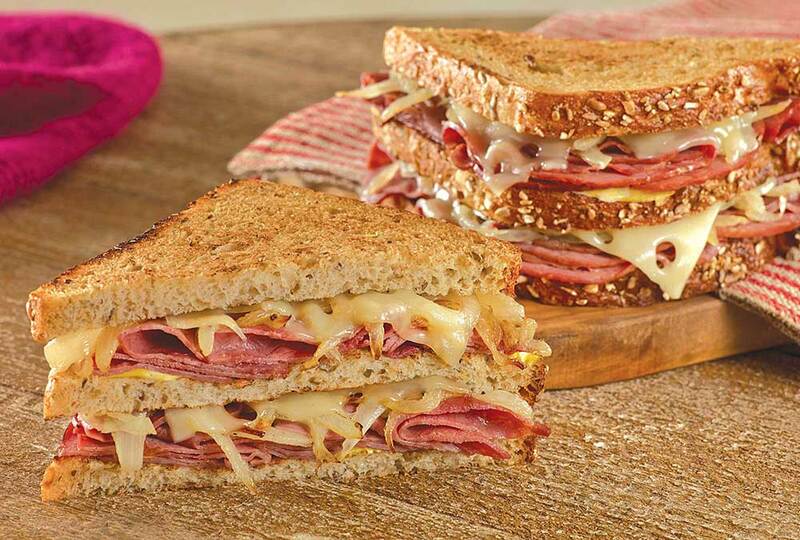 Add mustard and mayo and it's not a Reuben, it's Rubén — of course! This is no ordinary pepper steak‚ it's picante! Generously spread among those succulent slices of roast beef and melted Swiss cheese is our own fiery secret recipe Meson Sandwiches pimento sauce. Put it all together and you've got a rich and beefy hot-but-not-too-hot twist on a classic pepper steak. The perfect sandwich lover's change of pace. Our hot grilled sandwiches have been called some of the best in the world. Which is probably why our customers eat them for breakfast, lunch and dinner. Bursting with the fresh, lively flavors of the Caribbean, they are an utterly unique sandwich-eating experience. Our breakfasts are something else our customers can’t get enough of — which is why we serve them all day long. 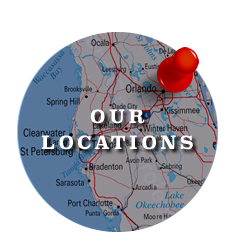 Stop by anytime of day for one of our famous breakfast sandwiches, breakfast platters, fresh-baked pastries or a cup of our legendary coffee. Don’t eat meat? You won’t go hungry at El Meson! 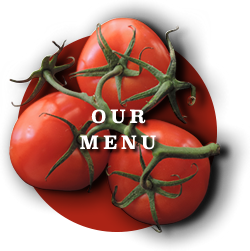 Our menu has a broad selection of full-flavored meatless items, from our famous sandwiches — with soy salami, turkey, and roast beef if you like — to tempting vegetarian wraps. What family isn’t tired of the same old carryout pizza or bucket of chicken? El Meson’s giant Mesotrón is awesomeness — a great value for any picnic, evening meal or office party. 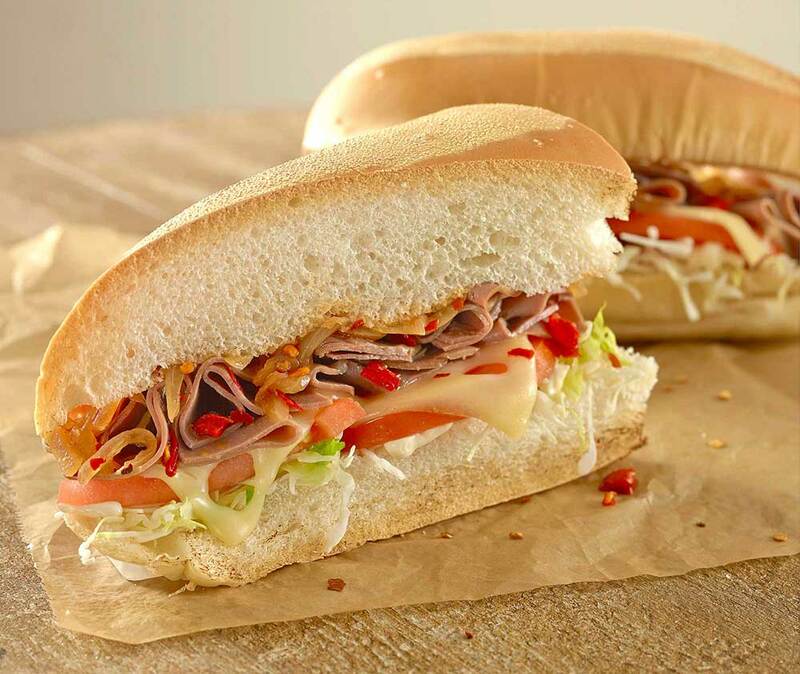 Just one easily feeds 4-6 hungry sandwich lovers.